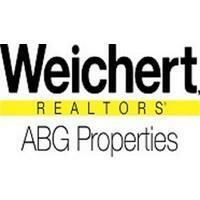 Weichert, Realtors®-ABG Properties is a full service real estate agency specializing in assisting Buyers and Sellers to secure the best possible results in all types of real estate transactions. A select group at ABG Properties handles Corporate Relocation, representing both Buyers and Sellers, with the utmost diligence and care. Our Gold Services enables all of our clients a more simplified and smoother real estate experience with "One-Stop" shopping including mortgages, title, insurance, moving, utility and address changes. From sales and marketing tools, to online resources, to lead generation, to free training programs, we give our team members everything they need to succeed in this industry. Our diverse, well educated group of Realtors® live and work all over the Louisville Metro Area and surrounding counties as well as Southern Indiana, Lexington and Georgetown.